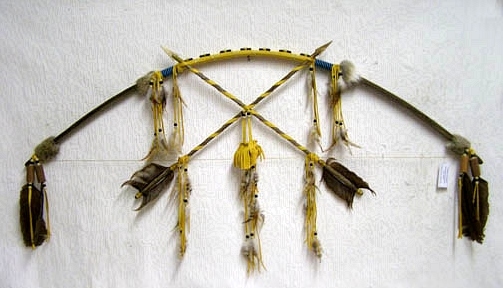 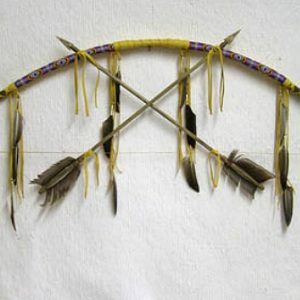 This wonderful piece is a Bow with crossed arrows which signifies peace. 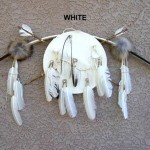 The bow is decorated with bits of genuine coyote fur, feathers & glass beads. 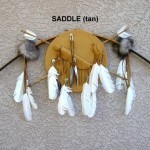 The buckskin buckskin covered Warrior Shield is decorated with a Dagger & Sheath. 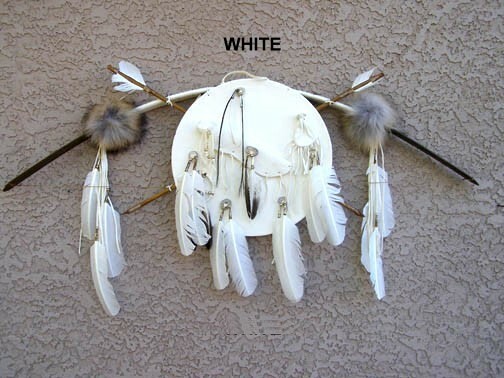 The shield is accessorized with a small medicine wheel & medicine bag, antler buttons from either deer or elk, feathers & fringe. 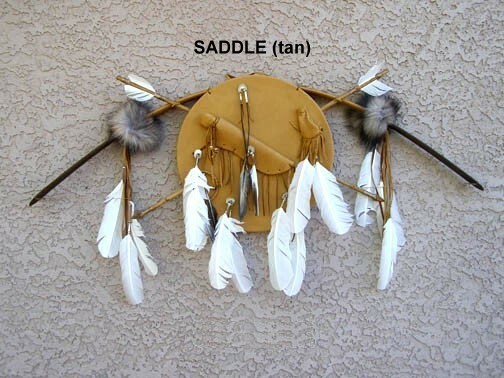 The shield measures 14″ in diameter. 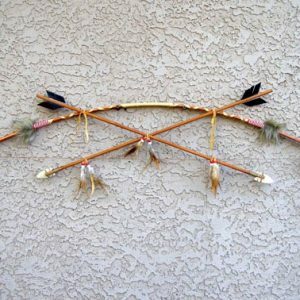 The bow is 38″ long. 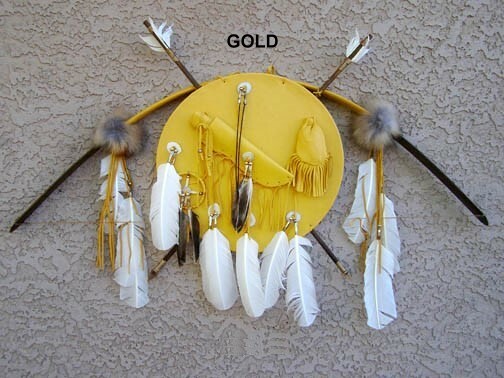 This bow is intended for decoration purposes only & is available in either gold leather, antiqued gold leather, saddle (tan) or white. 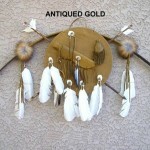 This beautiful piece is made by Cybil Smith of the great Navajo nation. 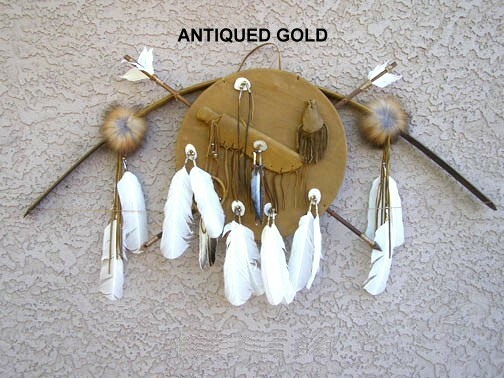 A Certificate of Authenticity included.